Miriam Defensor Santiago: Senator dead or death hoax victim? 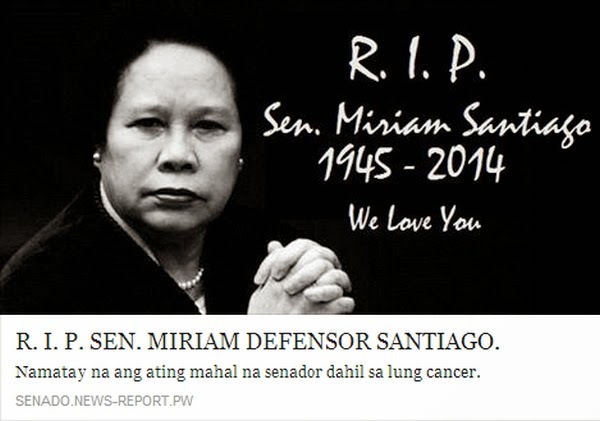 Home / news / social media / technology / Miriam Defensor Santiago: Senator dead or death hoax victim? Is Miriam Defensor Santiago dead or has the lady senator, who recently said she has lung cancer, become the latest victim of death hoax? A photo of the 69-year-old lawmaker with a dark background and message that read "R.I.P. Sen. Miriam Santiago... 1945 - 2014... We Love You" made its way online Thursday night, July 10. The outspoken senator publicly announced last July 2 that she was diagnosed with stage 4 lung cancer, but the news that she's already dead is obviously fake. Like any other death hoaxes, social media posts with shocking headlines are used by cybercriminals to victimize people. Once clicked, the link redirects to a trojan virus-infected webpage. 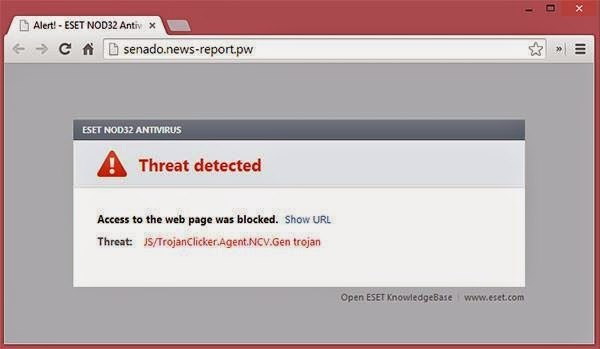 The landing page is being detected by a reliable anti-virus software as a "threat". If you happen to see the Miriam Defensor Santiago death hoax on your Facebook timeline, ignore or delete it immediately as it may lead to identity theft which will enable the crooks to steal your personal as well as financial information and, if worse comes to worst, your money in the bank.